Even the highest quality carpets soil with time. Carpets experience a lot of wear because of heavy foot traffic. Moreover, spills and stains on carpets are inevitable. Given that your carpet is a major investment, you must look to maintain it. While you should regularly vacuum clean your carpet, you should also hire professional cleaners once in a while. Regular vacuuming only removes surface dirt from your carpets. It does nothing to remove stains or problem spots. Also, vacuuming is simply not effective enough when it comes to removing allergens or foul smells from a soiled carpet. However, professional cleaners can deep clean your carpet, remove stains and also take care of allergens and foul smells. Professionals use specialised equipment, advanced cleaning agents and sophisticated techniques for cleaning, while also taking care not to cause damage. Carpet Cleaning for Perth is proud to offer the best carpet cleaning services in Watermans Bay, WA 6020. We cater to residential, commercial, real estate and insurance markets for immaculate carpet cleaning. Our technicians use sophisticated equipment and non-toxic cleaning agents for quick and effective cleaning. Your carpet may look clean on the surface, but it actually contains millions of germs. Bacteria and allergens often reside within the fibres of carpets and they can be very difficult to get rid of. These substances degrade air quality and can also cause a range of diseases, including chronic allergies and asthma. There is no reason you should risk the health of your loved ones. 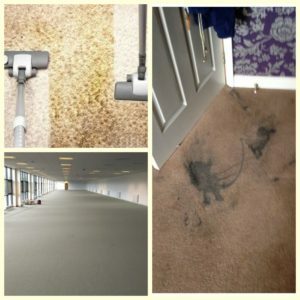 You should try and remove all bacteria and allergens from your carpets and professional cleaners can help you with this. Here, at Carpet Cleaning for Perth, our technicians can get rid of all germs and bacteria from your carpets. We use non-toxic, eco-friendly cleaning agents that are highly effective in removing allergens and pathogens. The cleaning agents that we use are completely safe for your family. Moreover, our technicians will ensure that there are no residues left behind once the cleaning is done. By hiring our carpet cleaning services, you can make your indoor environment much healthier. Our services are timely and reliable and we’ll get rid of all bacteria and allergens from your carpets in no time. Just get in touch with us and make an appointment as per your convenience. We’ll handle everything else for you. When you choose Carpet Cleaning for Perth for your carpet cleaning needs, you enjoy complete hassle-free services. There’s absolutely nothing you need to do. Our technicians will handle everything ranging from decluttering to moving of furniture and lifting heavy carpets. You can sit back and relax while our technicians will do all the cleaning. One thing you can do is to let our technicians know about problem spots in your carpets. Our technicians will conduct a pre-inspection to determine the best cleaning procedure. Of all your home furnishings, your upholstered fabrics experience the heaviest amount of wear. With time, even the best of fabrics look dull and tired. This is to be expected, given that upholstered fabrics are used a lot and they gather dust and dirt. Moreover, protecting upholstery from occasional spills and food crumbs is just not possible. Even if you clean and vacuum your upholstered fabrics, you won’t be able to collect all dust and dirt. Also, normal household cleaning is completely ineffective when it comes to dealing with problem spots and stains. Regardless of how often you vacuum or clean your fabrics, you won’t be able to restore their fresh appearance. This is where professional upholstery cleaners can help you out. Professional cleaners are experts at choosing the correct cleaning technique for all types of fabrics and all soil levels. Expert cleaners use special equipment and safe chemicals to remove stains and treat problem spots without damaging your fabrics. Carpet Cleaning for Perth is the ultimate name in upholstery cleaning in Watermans Bay, WA 6020. We specialise in cleaning all types of upholstered fabrics, including Jacquard, Haitian cotton and velvet to name a few. 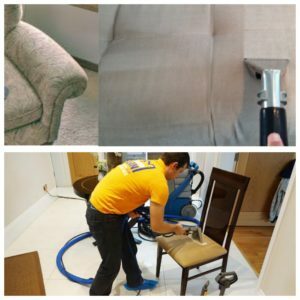 Our technicians use industrial grade cleaning equipment and safe cleaning agents to deep clean your upholstery. No matter how soiled, worn out or dirty your upholstery is, we’re always ready to surprise you with our cleaning. At Carpet Cleaning for Perth, we have been offering upholstery cleaning services for several years now. You can count on us for all types of upholstery cleaning services. Whether you’re looking for spray extraction cleaning, vacuum cleaning, wet cleaning or dry cleaning, we offer it all. Our technicians will conduct a pre-inspection to determine which cleaning method will suit your fabrics the best. We also understand that upholstered fabrics are different from carpet fibres or other strong fabrics. As such, we ensure to use safe and gentle cleaning methods which cause absolutely no damage to upholstered fabrics. And, despite our gentle cleaning methods, we ensure to remove all stains, dirt and allergens from your fabrics. For all your upholstery cleaning needs in Watermans Bay, WA 6020, look no further than Carpet Cleaning for Perth. We’re an established and reputed company to provide cleaning services. We have a great team of dedicated, trained technicians who are incredibly adept at cleaning all types of fabrics. What’s more is that we offer a 100% satisfaction guarantee on our cleaning services. When you choose us, you’re choosing the best cleaning service provider. We boast of top-notch professionalism, high quality services and safe cleaning procedures. Moreover, we offer additional services related to cleaning which include decluttering, handling of furniture and sanitation and deodorising post cleaning. With us around, you needn’t ignore your upholstery any longer. Simply give us a call and we’ll be more than happy to assist you with all your cleaning needs. No matter how much you scrub and mop your tiles, you can never restore the look of a new floor. Over time, tiles fade and lose their colour and this makes them look dingy. Also, grout lines are always a problem area as they accumulate a lot of dirt and grime. Both tiles and grout are porous in nature and dirt, dust and germs always get embedded in these pores. It is just not possible to clean tiles and grout completely using ordinary household cleaning methods. This is why you should hire professional tile and grout cleaners. Professionals experts can clean your tiles and grout, no matter how dirty or dingy they are. Professionals will clean your tiles thoroughly and get rid of all dirt and germs and they will also restore the fresh look of your flooring. What’s more is that expert cleaners will even deodorise and sanitise your tiles and grout. For the best professional tile and grout cleaners in Watermans Bay, WA 6020, consider us at Carpet Cleaning for Perth. We cater to all types of markets including residential, commercial, real estate and insurance to name a few. Our technicians will rejuvenate your tiles and grout, no matter how dark or dirty they may be. Our professionals will deep clean your tiles, no matter which material they are made of. Whether you own natural tiles or man-made tiles, you can count on us to do a wonderful job with cleaning. Our technicians will remove all germs and pathogens from your tiles and grout. Tiles and grout are notorious for playing host to a variety of germs and allergens. Our expert cleaners will ensure to thoroughly clean your tiles and grout, making your interiors much healthier. We use state of the art equipment, sophisticated cleaning techniques and safe cleaning agents to clean tiles and grout. Moreover, our technicians will ensure that absolutely no damage is done to your tiles during the cleaning process. We offer nothing but the best in tile and grout cleaning services. Just get in touch with our experts and we’ll ensure to restore the fresh appearance of your tiles and grout. Cleaning tiles and grout is a dirty chore that requires both skill and a lot of time. Moreover, unless you have access to professional equipment and special cleaning agents, you simply won’t be able to clean properly. On the other hand, if you hire expert cleaners, you’ll give yourself a real treat. Our technicians at Carpet Cleaning for Perth are incredibly efficient at cleaning tiles and grout. We’ll have your floors sparkling clean in no time at all. So, give us a call, book an appointment and sip on some tea. We guarantee that you’ll be completely satisfied with our services. Carpet Cleaning for Perth is a trusted name for all your cleaning needs in Watermans Bay, WA 6020. We specialise in a range of cleaning services, including carpet cleaning, upholstery cleaning and tiles and grout cleaning. We have a fantastic team of technicians who are always up to the task. It really doesn’t matter what condition your carpet, tiles or upholstered fabrics may be in. Our technicians are trained to handle every material with ease. What’s more is that we offer a 100% satisfaction guarantee on our cleaning services. Our friendly and courteous technicians will ensure that you’re completely satisfied with our services before leaving your premises. Also, our technicians will also offer you various tips on how you can maintain your tiles, carpets and upholstery once we’re done cleaning. We understand that your time is valuable. That’s why we’re extremely professional with our services. When you choose us, there are no long waits or hassles involved. Simply leave everything to our reliable technicians and enjoy top-notch cleaning services. So, give us a call and book an appointment as per your convenience. You’ll definitely be pleased by what we have to offer. Call us today!